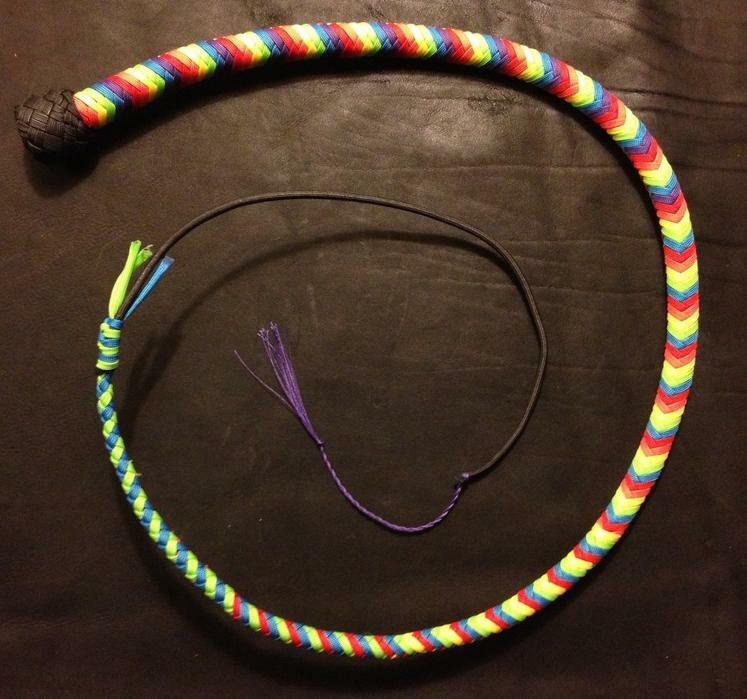 A 12 plait snake whip in rainbow colours – red, orange, yellow, green, blue and purple – with a black knot and black fall. Made using our traditional whip construction – it may be bright and fun, but it throws beautifully and is highly accurate! Lead weighted core, 8 plait belly and colourful 12 plait overlay, made of high strength synthetic cord. We have a 2 foot, 3 foot and 4 foot ready to go! Be the first to review “Rainbow Snake Whip” Click here to cancel reply.